Linux Fedora 13 KDE desktop. The default desktop screen for KDE desktop on Fedora 13 system. Linux Fedora 13 desktop. 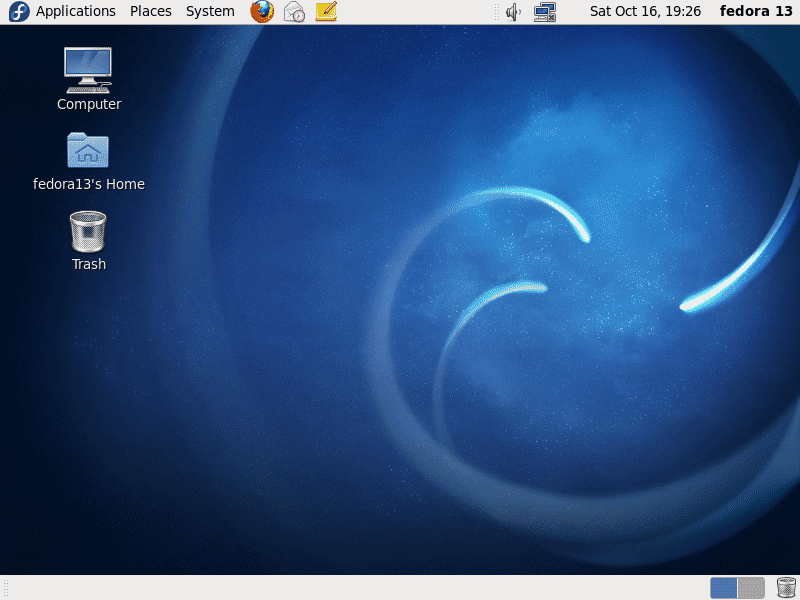 The default desktop screen for Gnome desktop on Fedora 13 system. Then just key in the user password and hit the Enter key or click on 'Log In' button to start log in to the system... Where can i get the user password? remember that you already create password for user... use this password ... not the password that you create for root user, this root password is just for root user only... and not for any Linux normal user account. Then the dialog box appear ask you to reconsider sending system hardware profile, click on No, do not send to proceed and finish the firstboot setup agent configuration without sending hardware profile. Then the Fedora 13 installation setup agent proceed with the Hardware profiler. 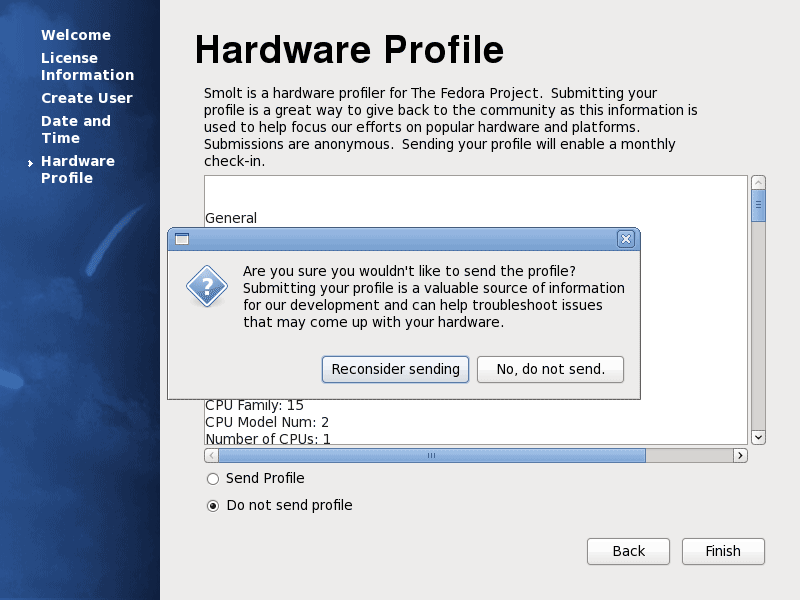 Fedora 13 hardware profile detect your system hardware and make an profile out of it. 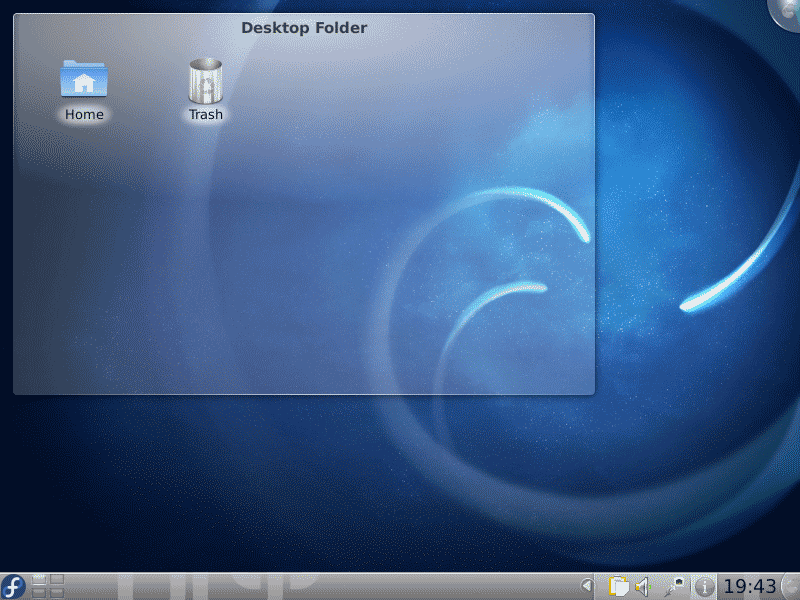 This hardware profile contains all your system hardware information and information about the Linux Fedora 13 operating system installed. This hardware information use by the Developer to focus their efforts on popular hardware and platforms that use by Fedora community. Please note that on this screen, Fedora use smolt as fedora 13 hardware profiler to enable you send your Fedora 13 system information profile anonymously. 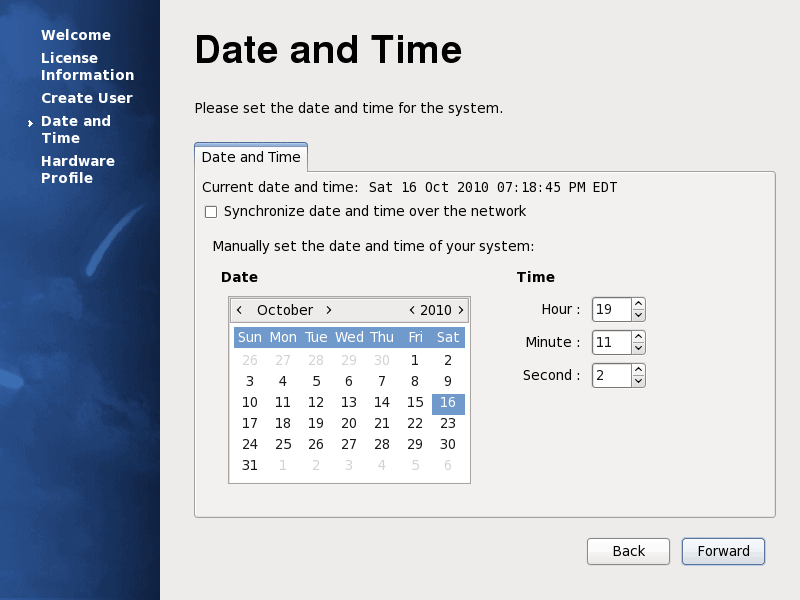 Then on this Fedora 13 Date and Time configuration screen you can configure date and time for your Linux Fedora 13 system, click on Date calendar for current date and set the current time by changing the time on the Time box provided on the screen.